The objective of this diploma course is to impart theoretical and practical training in different aspects of Ayurvedic Pharmacy. An Ayurvedic Pharmacist is capable of managing raw and finished products and is qualified to dispense Ayurvedic drugs at hospitals and dispensaries. Diploma holders typically find jobs at Ayurveda centers and hospitals or at pharmaceutical companies. 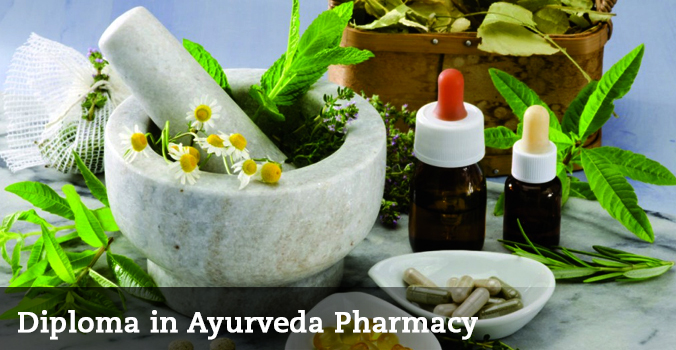 The Institute of Ayurvedic Science is offering"Diploma in Ayurveda Pharmacy" recognised by Government of U.P. and affiliated and enrolled to The Board of Ayurvedic and Unani Tibbi Systems of Medicines, Lucknow, U.P. (India) . Must be 10+2 in Science stream.